The Sustainability Kit: How to save the earth as a student | The Forum Network, hosted by the OECD: Shape ideas. Shape policy. Shape the Future. The YES! – Young Economic Summit is a joint project of the ZBW – Leibniz Information Centre for Economics and the Joachim Herz Stiftung. The Sustainability Kit was a project presented at the 2017 summit by students from the Heinrich-Heine-Gymnasium in Hamburg, Germany. Do you want to be a hero sometimes? A revolutionary? Or maybe just an idol? Let me ask you some other questions: how often do you drive your car instead of going by bike? 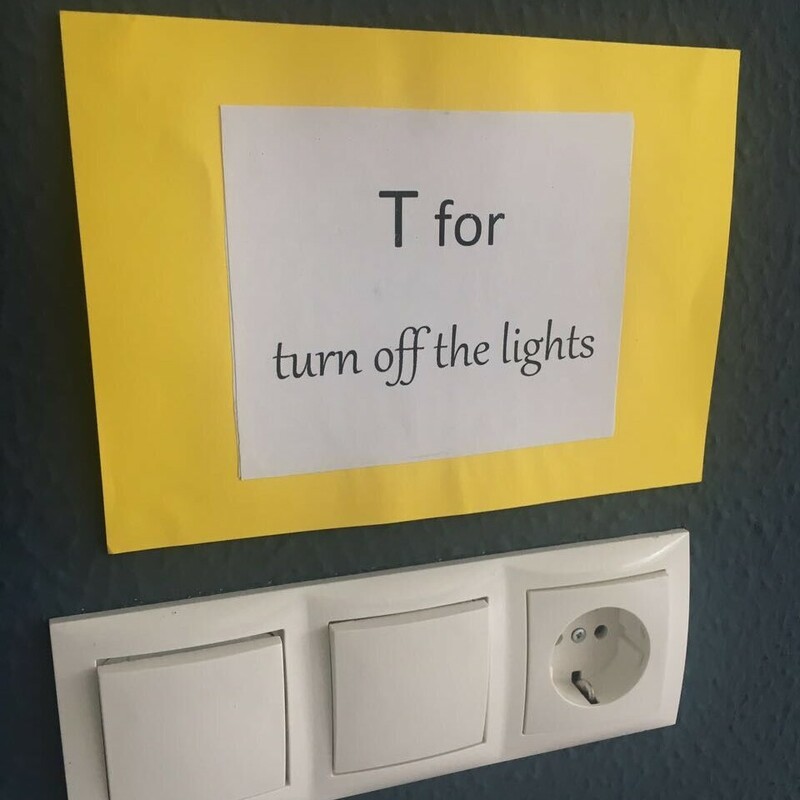 How often do you leave the lights on when you leave a room? How much waste do you produce daily? Maybe it gives you a little comfort to know that in daily life everyone chooses comfort over sustainability at some point. But that is not what a real hero does! As a real hero, you have to live your life sustainably and think like a revolutionary. We will show you how it can be done. We are a group of students from the Heinrich-Heine-Gymnasium in Hamburg, Germany. The YES! – Young Economic Summit gave us the opportunity to come up with our own ideas to make a better tomorrow. It is not every day that a few 17-year-old students get the chance to make a change in this world. Our particular aim is to “nudge” sustainable consumption. A nudge tries to change the unsustainable behaviour of a consumer into a more sustainable one. It is not enforcement but rather an attempt to gently push people in the right direction. There are so many different aspects of sustainable consumption we wanted to focus on yet we were still full-time students and only half-time revolutionaries. We had to decide on one topic, and while doing our research we stumbled over a few shocking numbers. In 2015 the total use of paper in Germany was at 20.8 million tons, which makes it number one in Europe and just second worldwide. This is nothing to be proud of, so we decided to help change those numbers into something we can be proud of one day. 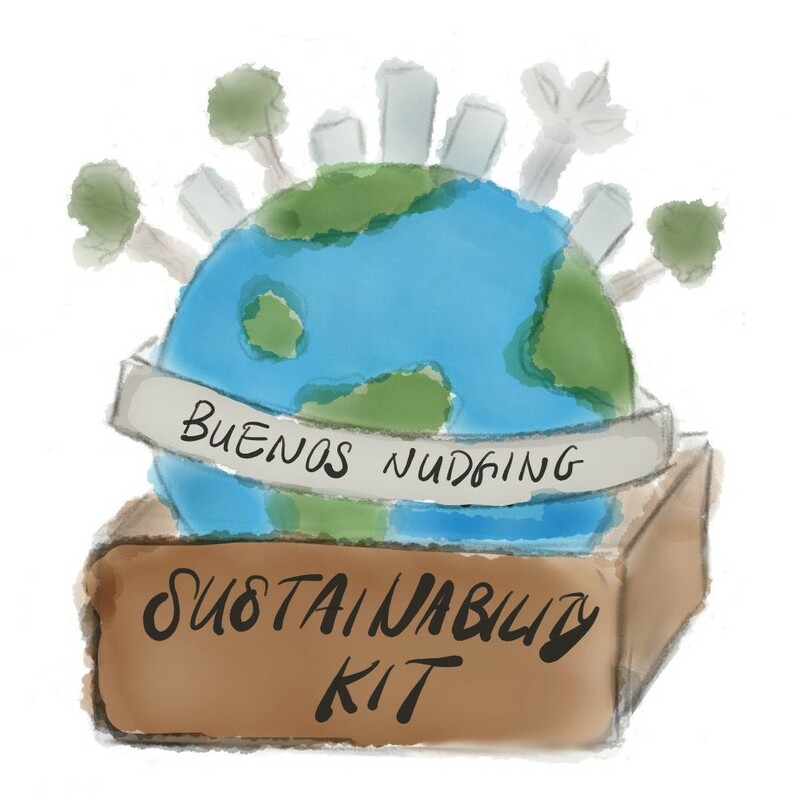 The Sustainability Kit contains four nudges that do not seem very revolutionary but, in the long term, they can really make a difference. To always be reminded of sustainable consumption in general, we created a jingle. It is supposed to be played regularly in school or any other public facility to get sustainability stuck in everyone’s head. Whenever you have to decide between a sustainable and a not-so-sustainable option you sing the jingle out loud for everyone to hear: after all, you still want to be a hero, and then choose the sustainable option. Yes, Yes, Yes to sustainable consumption – Yes, Yes, we must say Yes! Our Sustainability-ABC is another nudge for always thinking to act more sustainably. It contains small signs for every letter of the alphabet and related advice on how to live a sustainable lifestyle. 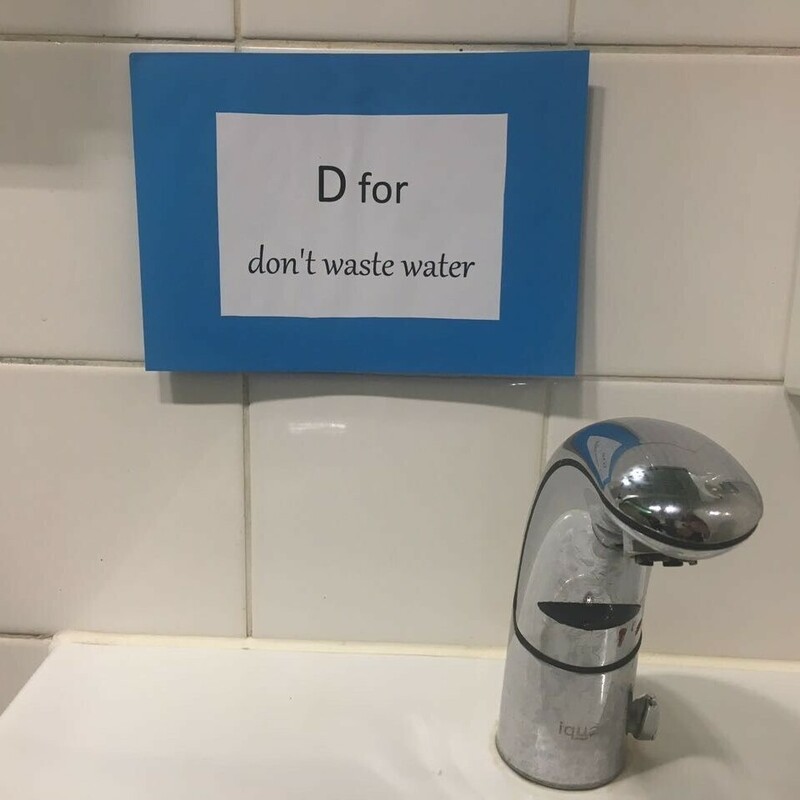 These signs can be placed all over school and be a daily reminder to D – do not waste water or T – turn off the lights. Next to these rather general nudges, we created two others specifically focusing on reducing paper waste. These stickers are designed to be placed on paper towel dispensers in toilets. We realised that most people use too many paper towels to dry their hands and this cannot be considered sustainable consumption. 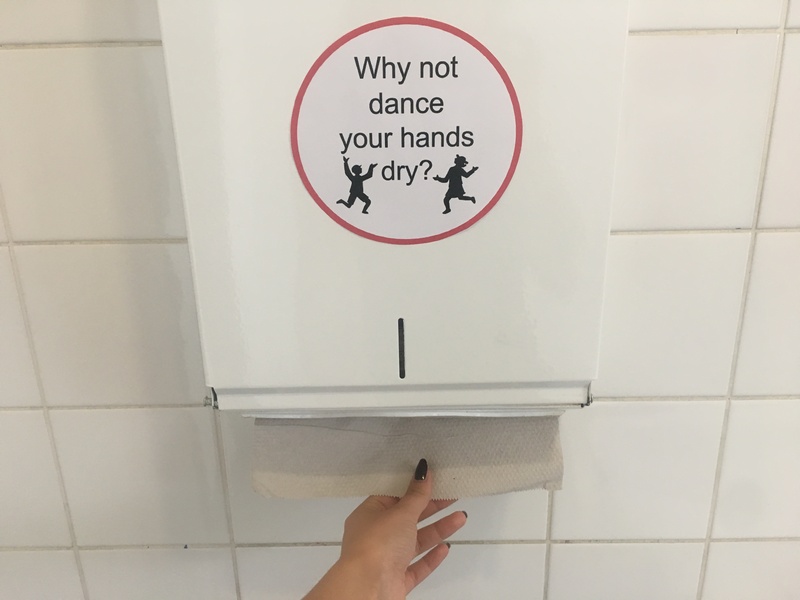 We wanted to reduce the consumption of paper towels and raise awareness of waste so: why not just dance your hands dry? The last element of our kit is the “paper bus”, which focuses on paper waste in classrooms and copy rooms. 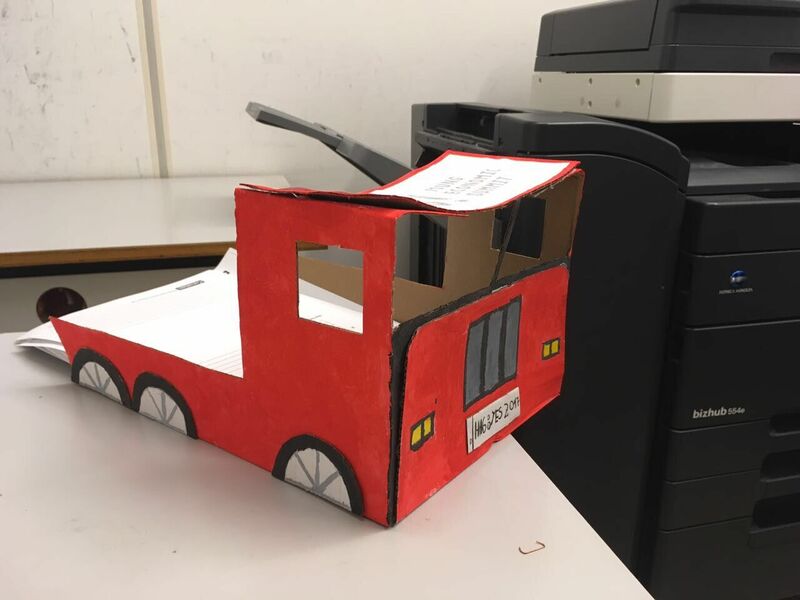 It is for students and teachers to put paper in they would have normally thrown away after, for example, having made too many copies: with the aid of the paper bus, it can now be reused as scribbling paper and will not be wasted. The Sustainability Kit should not only make our school more sustainable but also hopefully change wider consumer behavior. Therefore we created a website where the kit is available for other schools, public institutions and anyone interested in changing the world and becoming a hero. With the help of our tutorials, you can create your own Sustainability-ABC, your own paper bus and your own stickers to reduce your use of paper and behave more sustainably. Furthermore, the website includes a platform to discuss the topic of sustainability and gives the opportunity to collect further ideas, to extend the Sustainability Kit to cover more and more aspects of sustainable consumption. We want to improve sustainable consumption by nudging people out of their laziness. We want to make a change in this world, for our future. We want you to become part of our revolution for sustainable behaviour in our society. What are you waiting for? Get out there, make your own Sustainability Kit, sing the jingle and start being environmentally friendly today for a better tomorrow! Say YES! Or Sí! Or Oui! Or Ja! Whatever language you speak, it does not matter. But your actions matter. Use them to help us change the world. Buenos Nudging! The ZBW is the world’s largest information centre for economic literature and ideally positioned to teach students information literacy. The Joachim Herz Stiftung is a non-profit foundation that is economically independent, and politically neutral, and has years of experience in the design and implementation of youth events, especially regarding economic education.